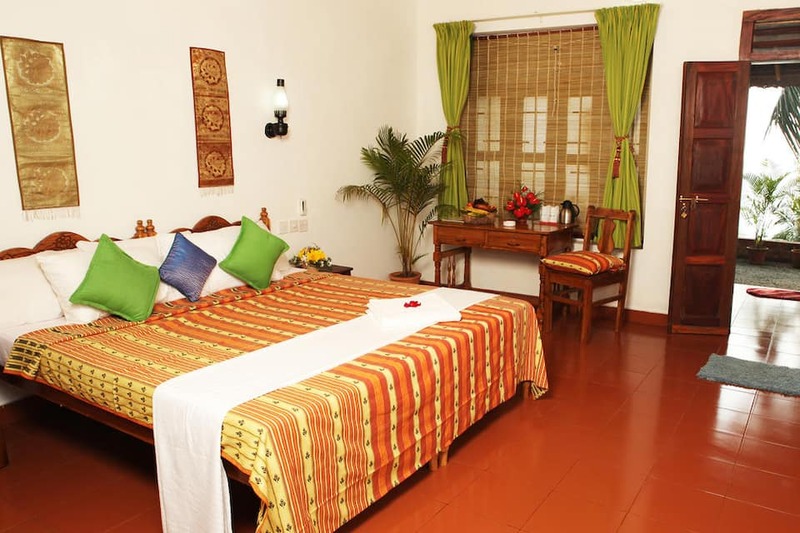 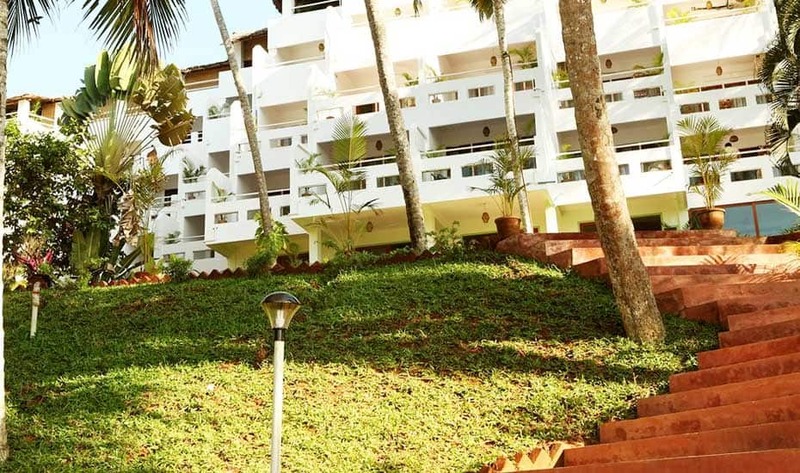 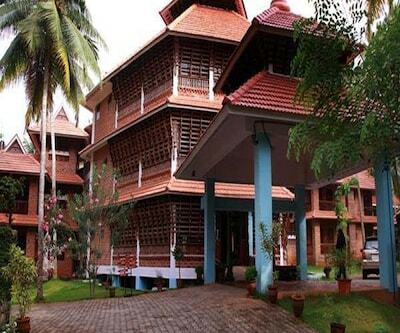 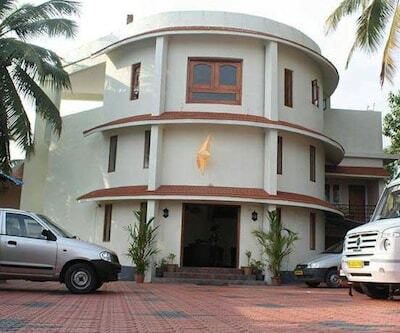 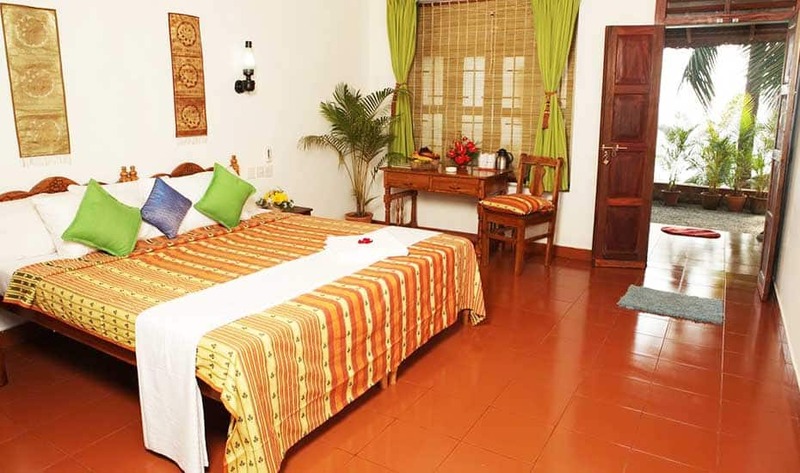 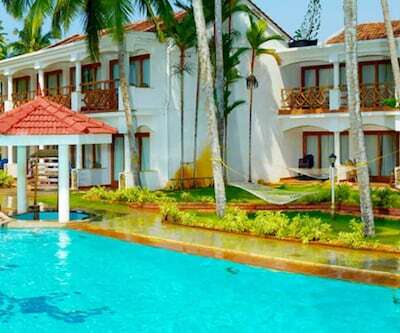 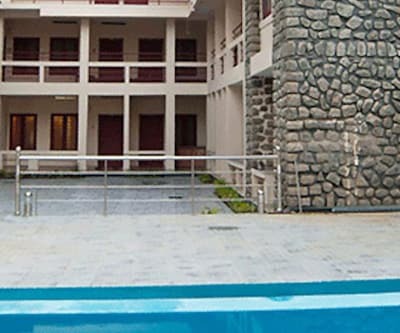 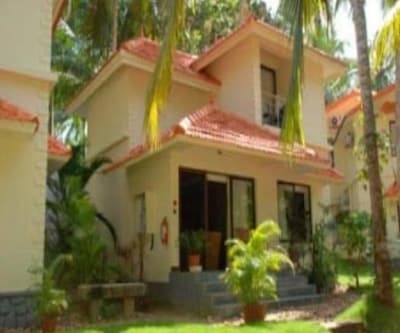 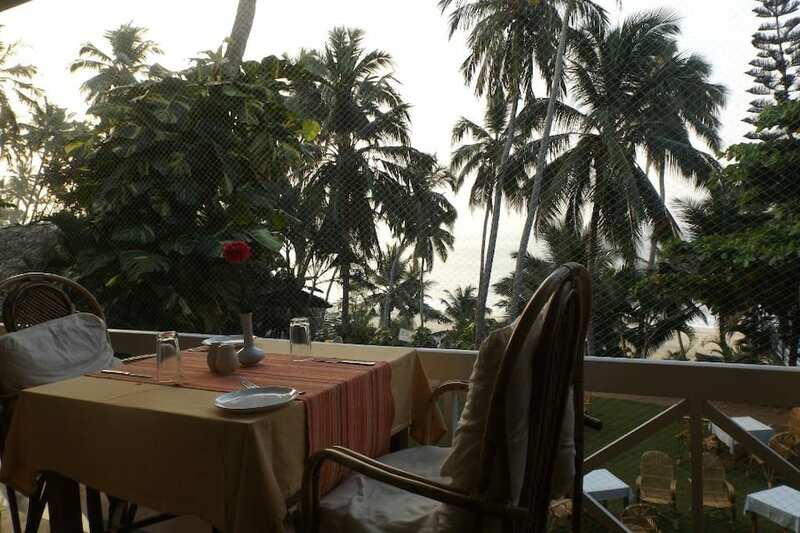 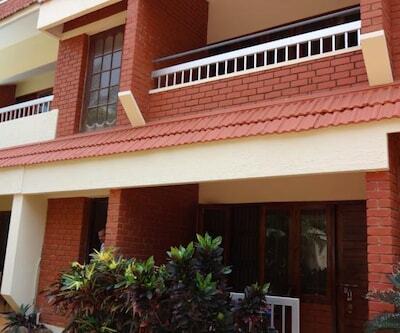 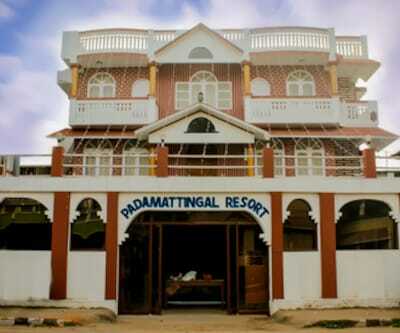 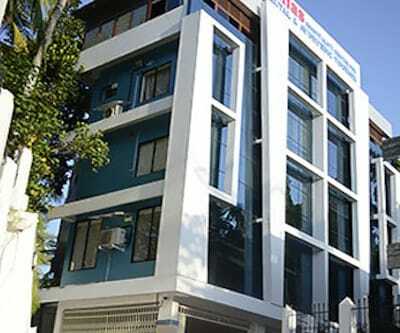 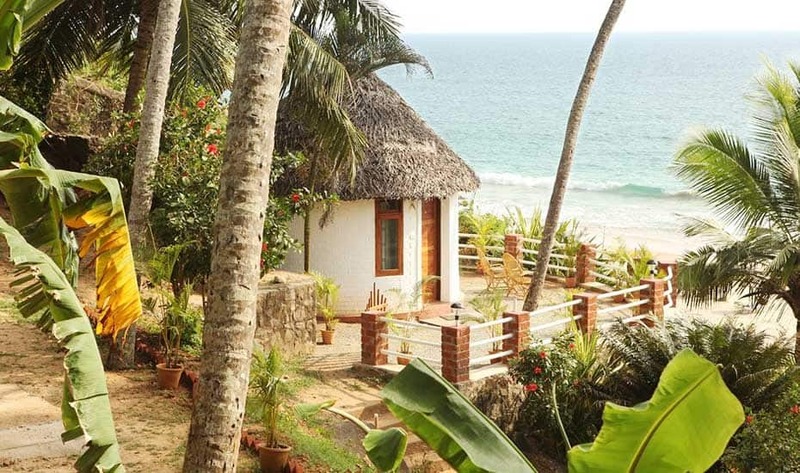 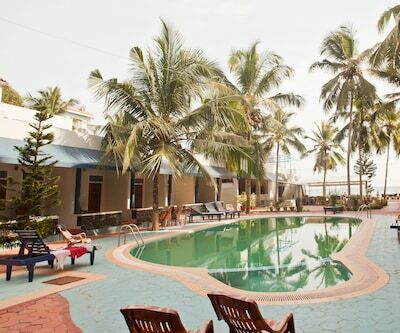 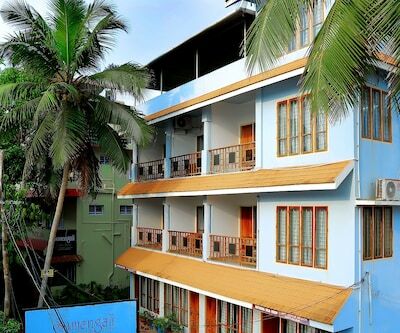 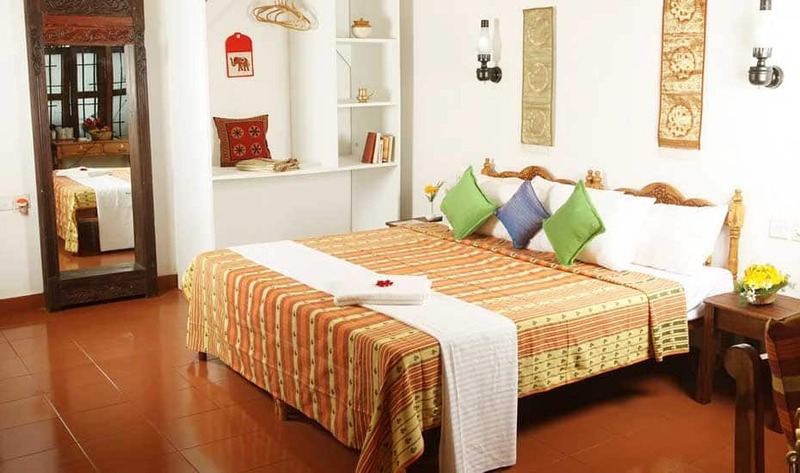 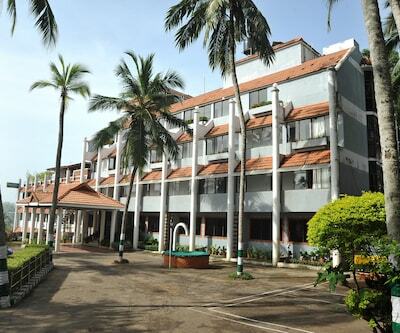 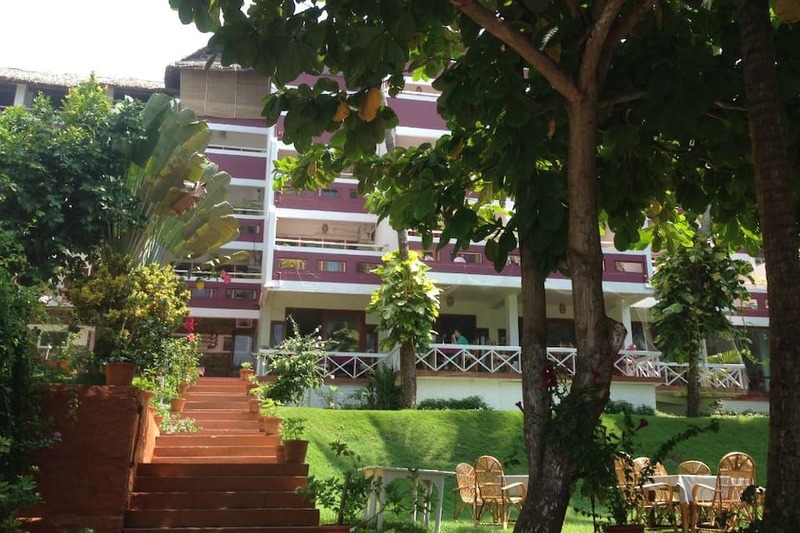 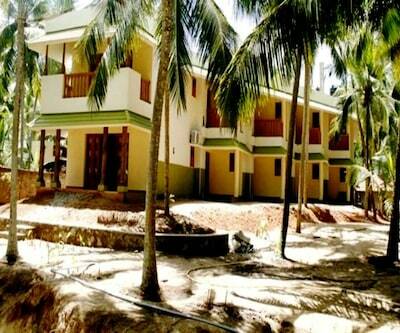 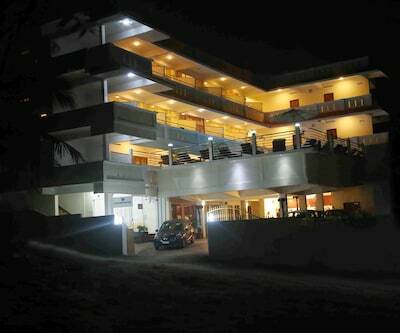 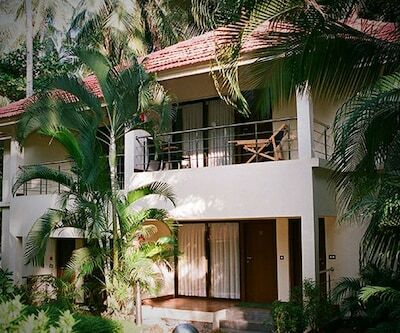 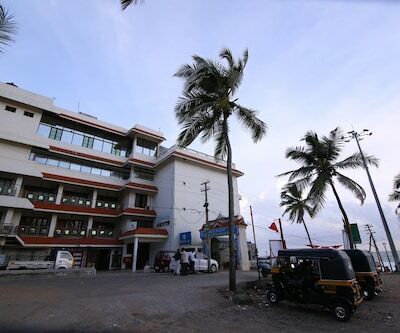 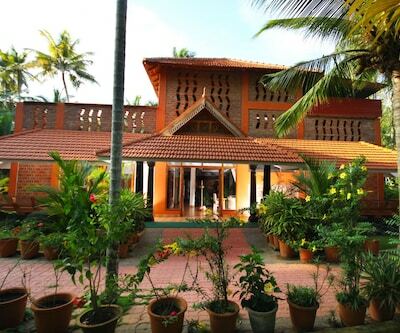 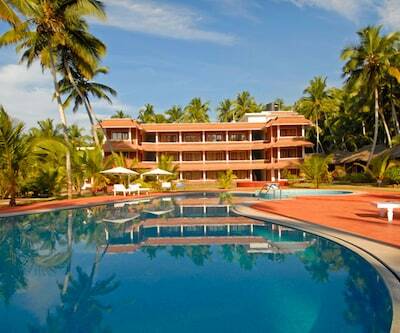 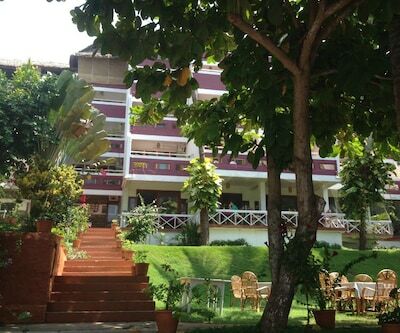 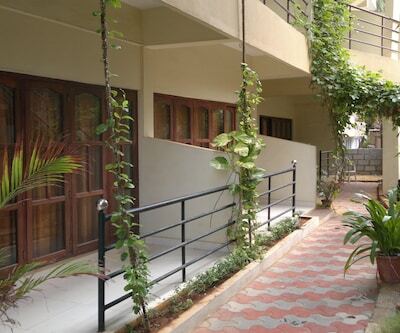 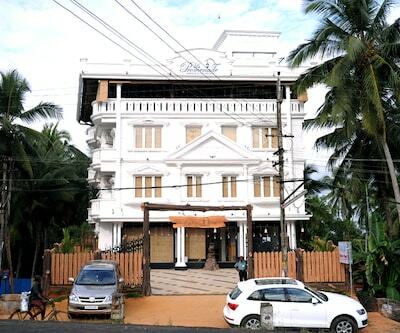 Situated on Light House Road in Kovalam, Soma Palmshore Beach Resort is 200 metres from the Kovalam Light House. 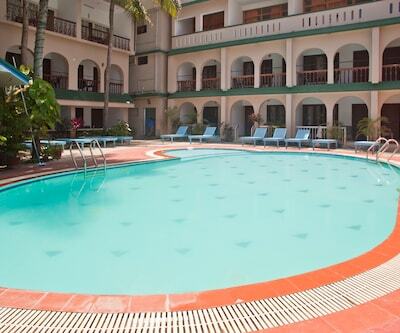 Suitable for business and leisure travellers, this resort has a private beach area with sun beds and umbrellas. 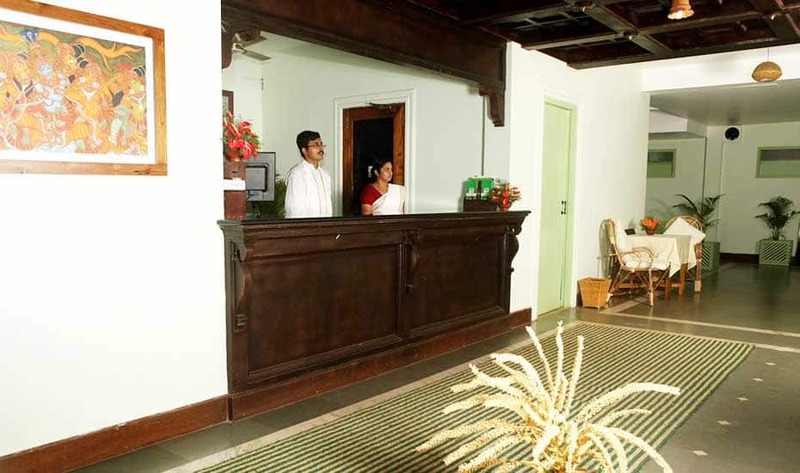 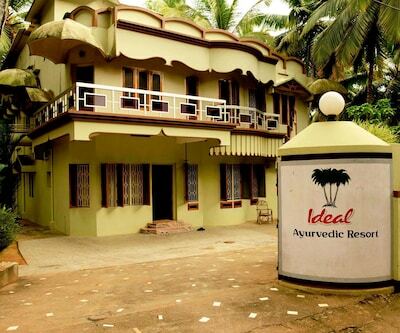 There is also a yoga and ayurveda centre on the premises. 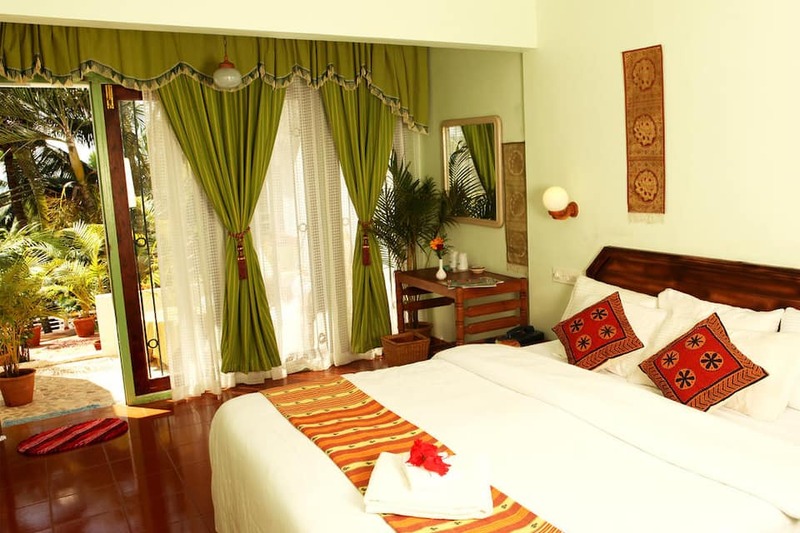 The rooms here are well-equipped and feature balconies offering beach views. 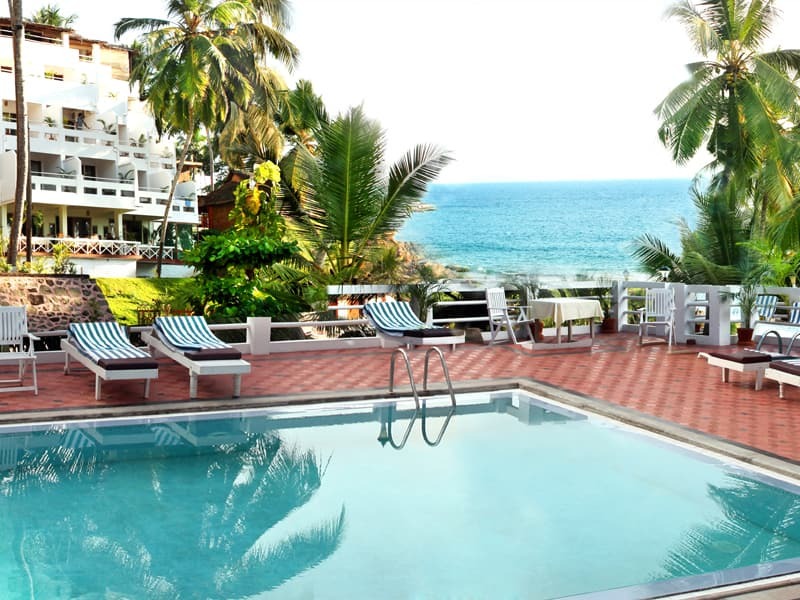 Vizhinjam Beach and Kovalam Sea View point are 600 and 900 metres away. 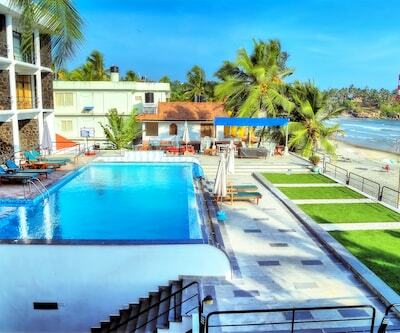 Kovalam Beach is 4km from here and Vellayani Lake is 6km away. 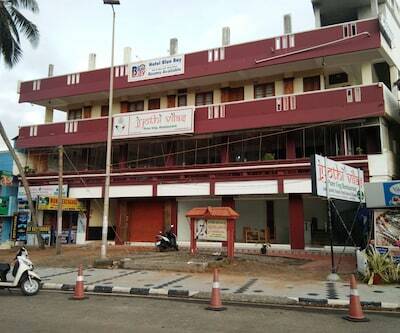 Trivandrum Central Railway Station and the Trivandrum International Airport are 14km and 15km away. 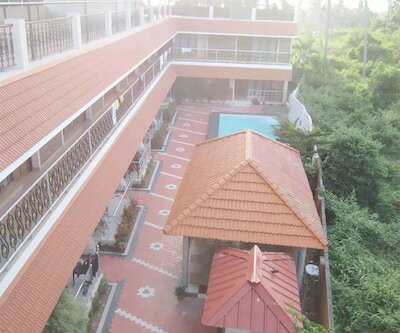 Trivandrum and Cochin are closest major cities at about 18km and 215km. 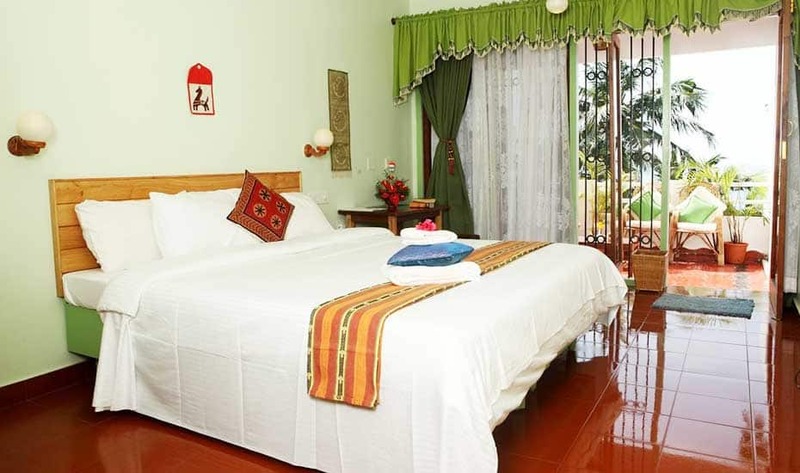 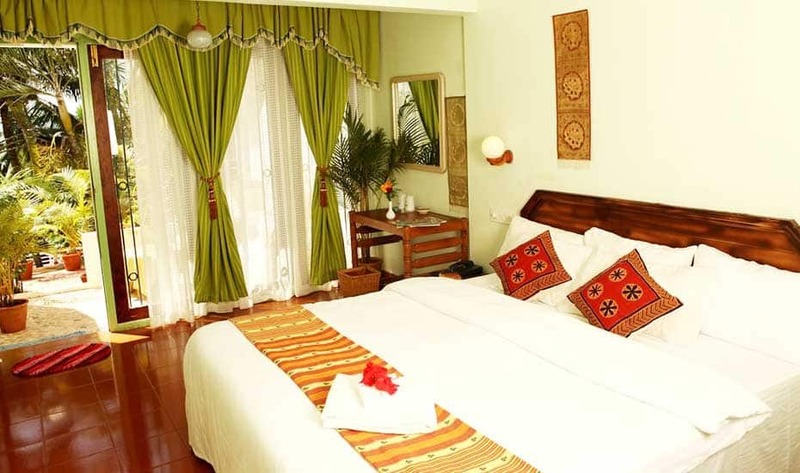 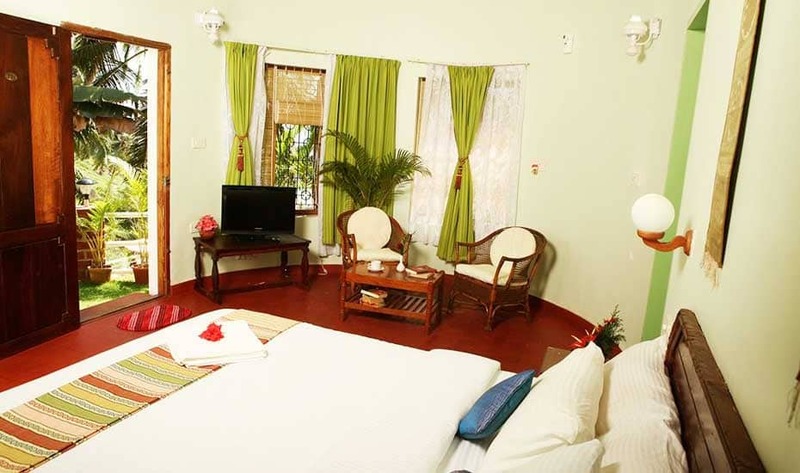 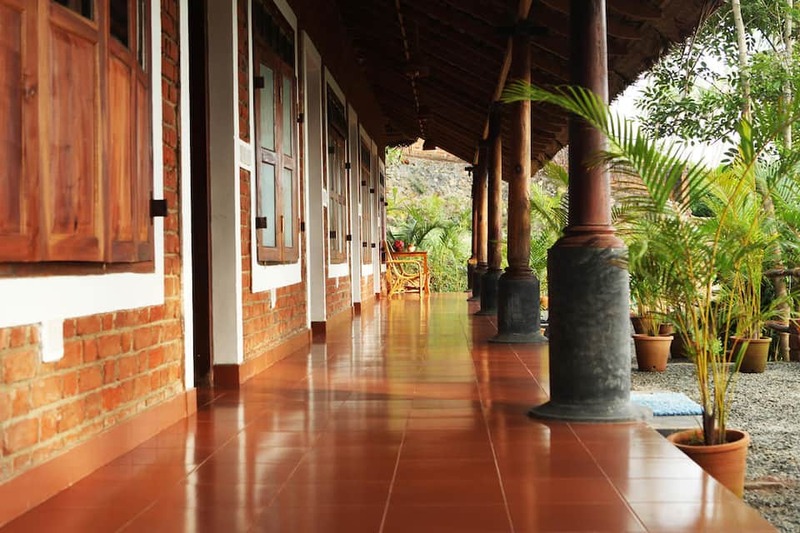 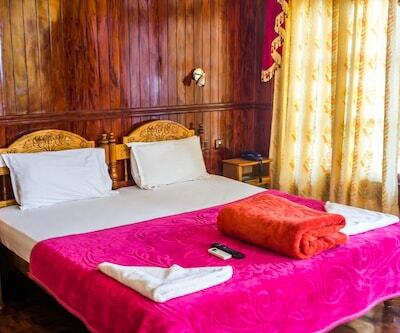 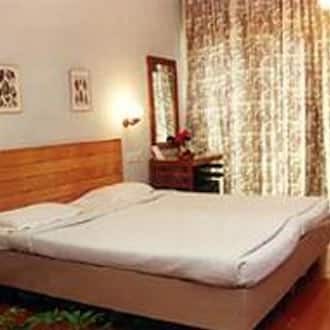 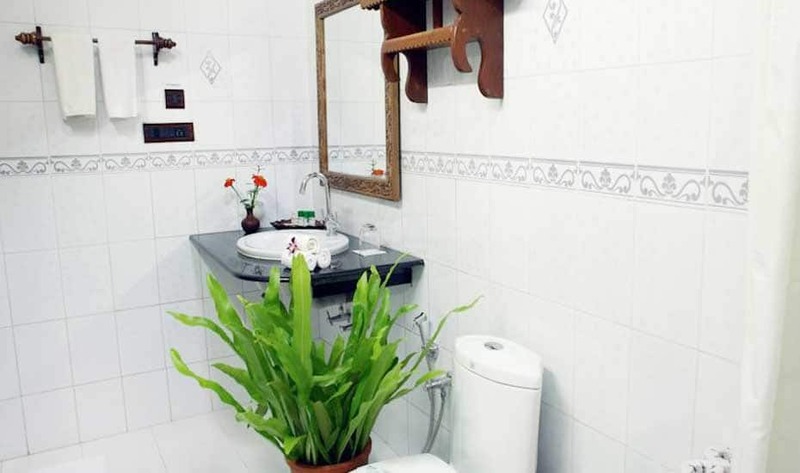 There are a total of 35 rooms including Standard Rooms, Deluxe Rooms, and Cottages. 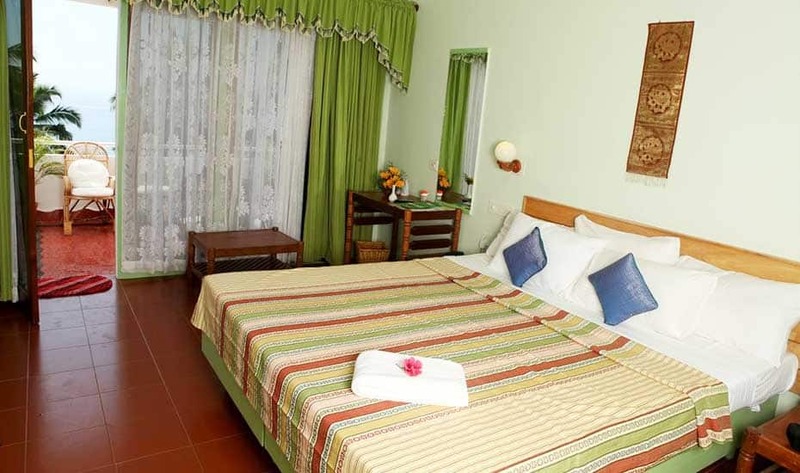 All rooms come with flat screen TV, satellite connection, seaters, telephone, private sun deck and stunning views of the beach. 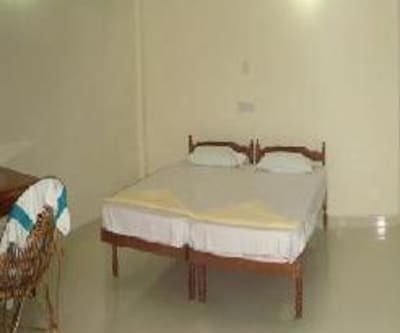 Room service and laundry service are available in rooms too. 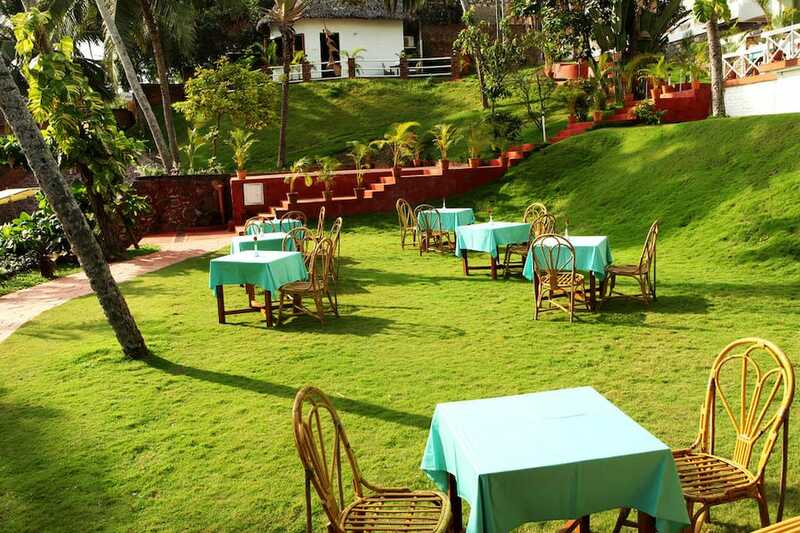 Palma is the resort s multi-cuisine restaurant offering Kerala special and Indian, Tandoor, Chinese and Continental cuisines. 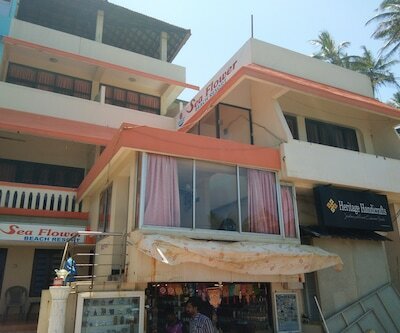 Palmshore Cafeteria offers a variety of snacks and beverages. 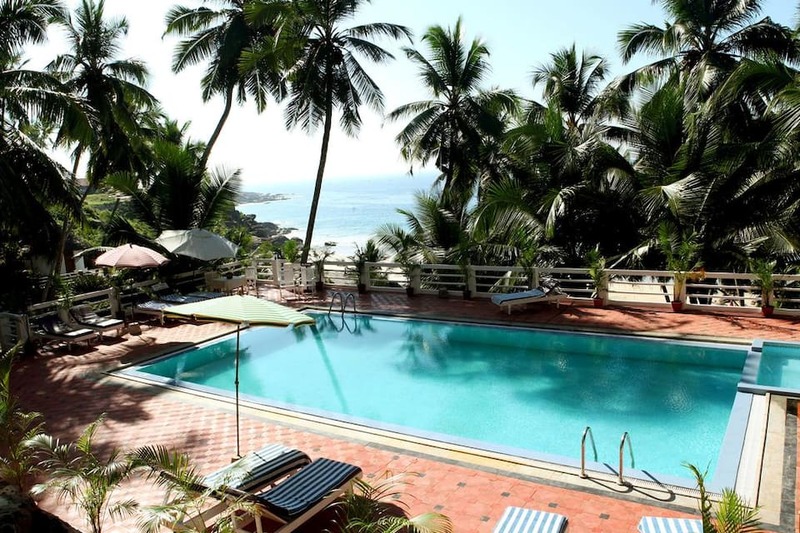 An outdoor swimming pool, ayurvedic spa, yoga centre, beauty parlour and private beach area are available in the resort. 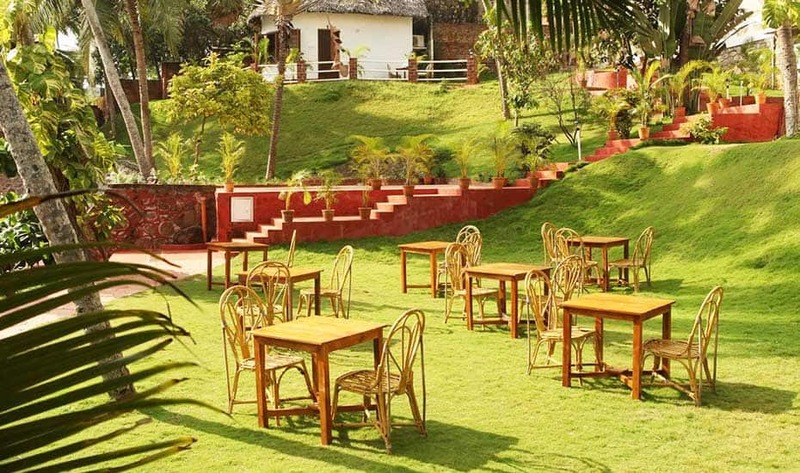 Guests can also book the conference hall for business meetings. 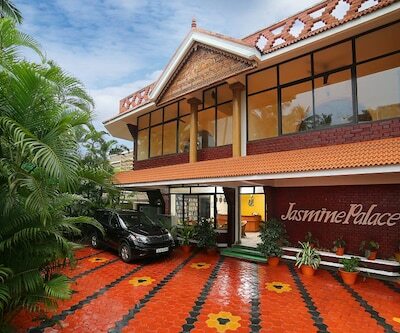 Tourist desk, sightseeing shuttles, doctor on call, free parking and free Wi-Fi in public areas are also offered. 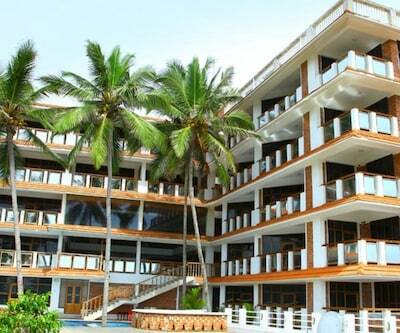 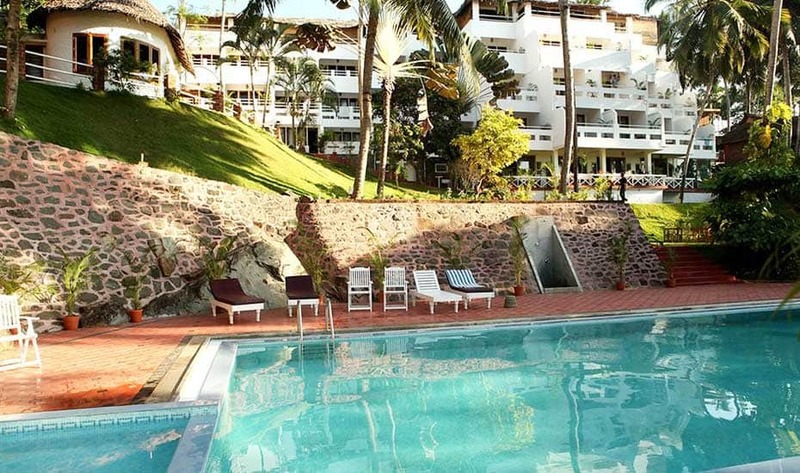 Amazing amenities at great prices is what makes Soma Palmshore Beach Resort a popular accommodation choice for guests.